King Pelagius decorated to celebrate the cider festival. 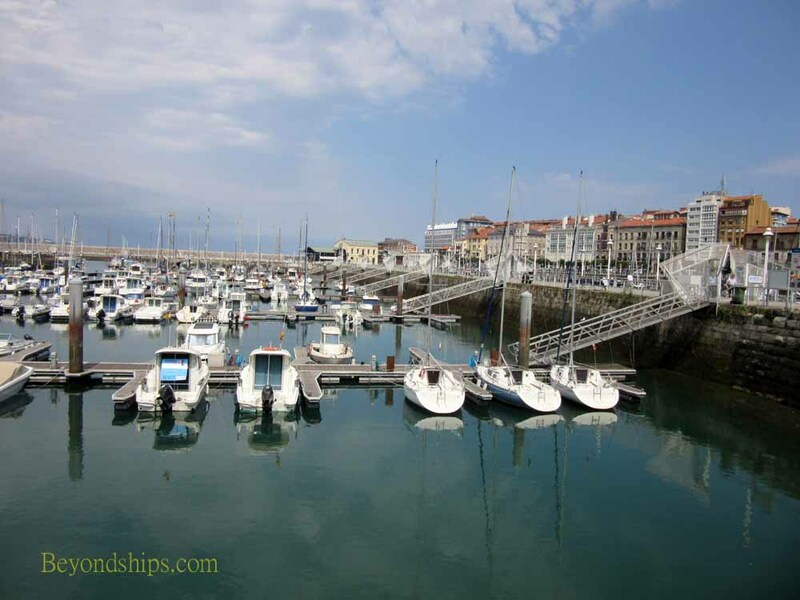 Gijon is a relatively undiscovered cruise port of call. It lies in the center of the northern coast of Spain in the autonomous region of Asturias. As a result, it is conveniently located for cruises going to Spain from the U.K. and other Northern European embarkation ports. Therefore, it is likely to grow as a cruise destination over time. This city does not fit the stereotype of a Spanish city. Because of its location by the Bay of Biscay, Gijon has a temperate climate with cool summers and mild wet winters. Because of the rainfall, the area surrounding Gijon is much more green than the ports in southern Spain. Of course, the rain also means that there are fewer sunny days. Nonetheless, Gijon boasts that it has the most popular beach in Spain - - the San Lorenzo beach which stretches out in front of the city center. Gijon is an old city. There was already a settlement here when the Romans arrived and fortified the city in the First Millennium. They were followed by the Visigoths and the Moors. In 722, Pelagius defeated the Moors and established the Kingdom of Asturias. The city's fortunes declined in the Middle Ages and for a time it was all but deserted. However, the development of its port in the 16th century led to expansion as Gijon benefited from trade with the American colonies. In the 19th century, the port became important in the transshipment of coal and ferrous metallurgy became an important industry as did shipbuilding. Gijon suffered during the Spanish Civil War and the subsequent Franco dictatorship because it backed the Republican faction. Today, Gijon is less dependent on heavy industry and efforts have been undertaken to transform some of the former industrial areas. However, coal transshipment still takes place in the port. The area surrounding the city is conducive to growing apples and as a result, the production of cider remains an important part of the area's economy. 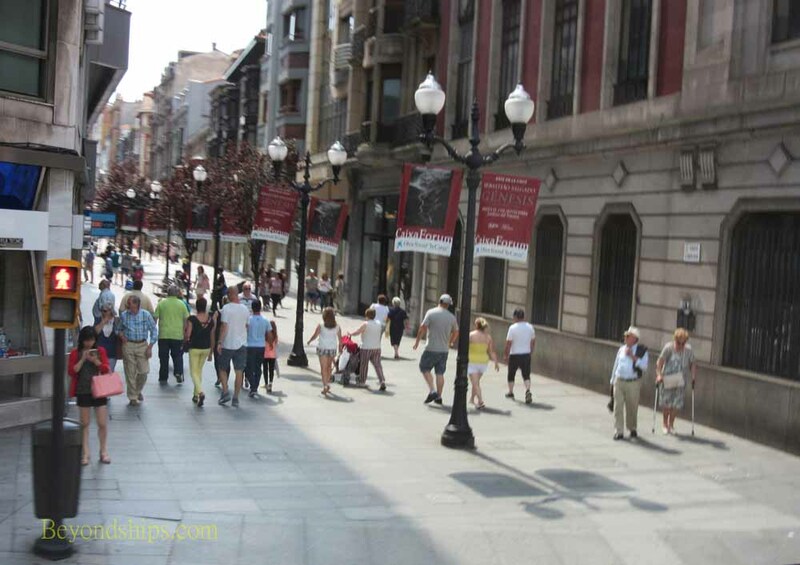 Most people in Gijon speak Spanish although people involved in the tourist industry usually also speak English. The Euro is the accepted currency. Above: Calle Corrida is an important pedestrianized shopping street. Below: Gijon's modern football (soccer) stadium. 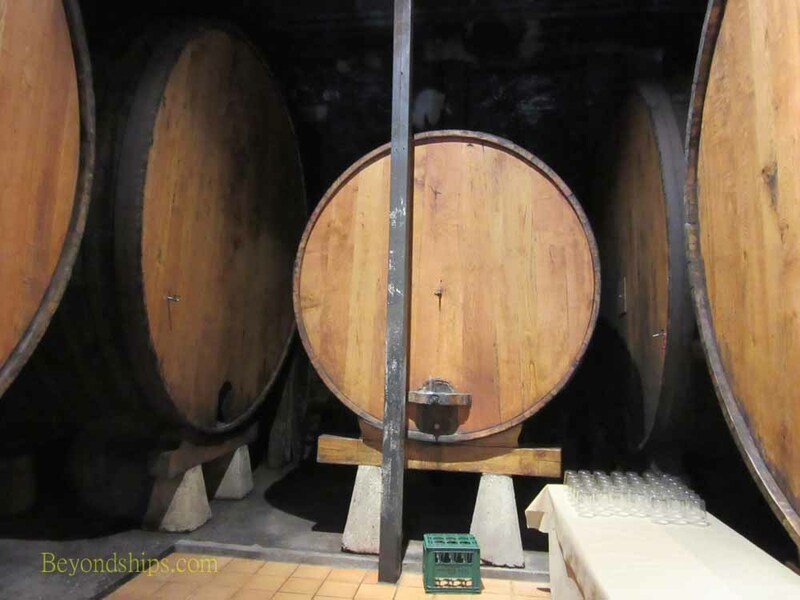 ​Above: The production of cider from apples is an important part of the economy in the Gijon area. Some of the cider houses offer cider tastings.